What Was the First TV Show to Be Rerun? An Outbreak In Which Multiplayer Video Game Attracted the Attention of Epidemiologists? Reruns are something modern television consumers take for granted. Missed an episode of a popular show like Cheers the first time it aired back in the 1980s? No problem; not only did they rerun early episodes while it was still on the air, but it went into syndication and was rerun in 38 countries and 179 American television markets. As late as 2008 the show as still being regularly aired in the U.S. Today you can still watch old episodes on iTunes, Netflix, and Amazon Instant Video. Viewers haven’t always enjoyed this kind of catch-it-again television experience, however. In the early decades of television most shows were performed live and in many cases were never even recorded. This changed when East Coast studios started recording the performances to broadcast shows in their regular time slot for West Coast viewers. Once they saw the benefit of recording the original live performance for rebroadcasting later in the day, the utility of recording the whole thing in advance of the actual air date became quite apparent. 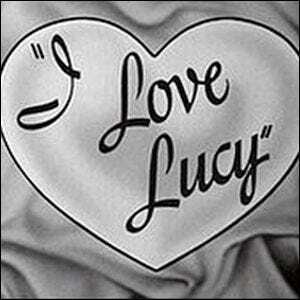 One of the first television shows to do so was none other than iconic comedy series I Love Lucy. The producers of I Love Lucy shifted away from a new-episode-a-week format and instead filmed 39 episodes per season with a 13 week period of popular episode repeats in the summer time. It was here, in the summer time slump, that I Love Lucy made history airing the first rerun.